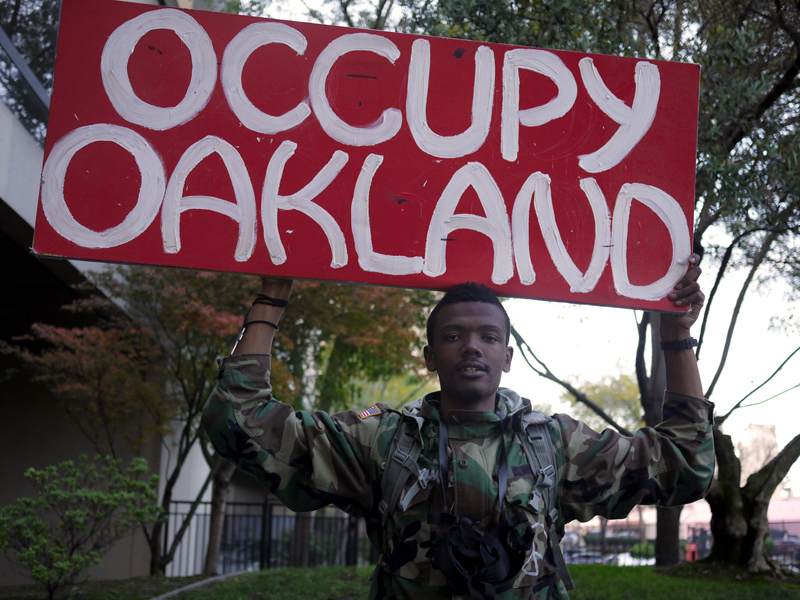 Melvin was one of the leaders of the tactical action arm of Occupy Oakland. His red OO sign became iconic for the movement. He later was on the front lines of the #BlackLivesMatter protests at Ferguson, Missouri. He also livestreams, tweets to over 100k followers and is a citizen journalist. Lady G was his girlfriend and they were almost always together.